We present a system for the detection of small and potentially obscured obstacles in vegetated terrain. The key novelty of this system is the coupling of a volumetric occupancy map with a 3D Convolutional Neural Network (CNN), which to the best of our knowledge has not been previously done. This architecture allows us to train an extremely efficient and highly accurate system for detection tasks from raw occupancy data. We apply this method to the problem of detecting safe landing zones for autonomous helicopters from LiDAR point clouds. Current methods for this problem rely on heuristic rules and use simple geometric features. These heuristics break down in the presence of low vegetation, as they do not distinguish between vegetation that may be landed on and solid objects that should be avoided. We evaluate the system with a combination of real and synthetic range data. We show our system outperforms various benchmarks, including a system integrating various hand-crafted point cloud features from the literature. This paper envisions an end-to-end program generation scenario using recurrent neural networks (RNNs): Users can express their intention in natural language; an RNN then automatically generates corresponding code in a character by-character fashion. We demonstrate its feasibility through a case study and empirical analysis. To fully make such technique useful in practice, we also point out several cross disciplinary challenges, including modeling user intention, providing datasets, improving model architectures, etc. Although much long-term research shall be addressed in this new eld, we believe end-to-end program generation would become a reality in future decades, and we are looking for ward to its practice. cation procedure. Here, we reached a performance of approximately 2 frames per second and more than 97% recognition accuracy. The proposed approach outperforms all of OpenCV’s algorithms with respect to both accuracy and speed and shows the applicability of recent deep learning techniques to hardware with limited computational performance. Makale: Autonomous Vehicles Need Experimental Ethics: Are We Ready for Utilitarian Cars? The wide adoption of self-driving, Autonomous Vehicles (AVs) promises to dramatically reduce the number of traffic accidents. Some accidents, though, will be inevitable, because some situations will require AVs to choose the lesser of two evils. For example, running over a pedestrian on the road or a passer-by on the side; or choosing whether to run over a group of pedestrians or to sacrifice the passenger by driving into a wall. It is a formidable challenge to define the algorithms that will guide AVs confronted with such moral dilemmas. In particular, these moral algorithms will need to accomplish three potentially incompatible objectives: being consistent, not causing public outrage, and not discouraging buyers. We argue to achieve these objectives, manufacturers and regulators will need psychologists to apply the methods of experimental ethics to situations involving AVs and unavoidable harm. To illustrate our claim, we report three surveys showing that laypersons are relatively comfortable with utilitarian AVs, programmed to minimize the death toll in case of unavoidable harm. 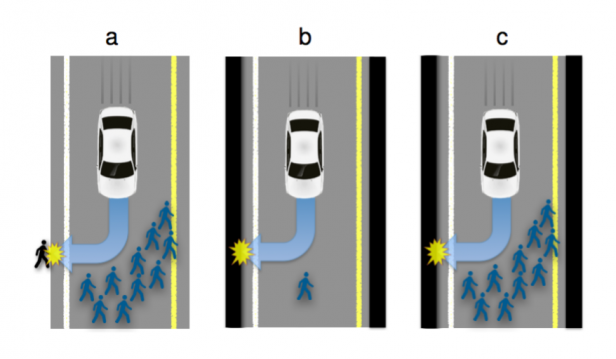 We give special attention to whether an AV should save lives by sacrificing its owner, and provide insights into (i) the perceived morality of this self-sacrifice, (ii) the willingness to see this self-sacrifice being legally enforced, (iii) the expectations that AVs will be programmed to self-sacrifice, and (iv) the willingness to buy self-sacrificing AVs. Deep learning excels in vision and speech applications where it pushed the stateof-the-art to a new level. However its impact on other fields remains to be shown. 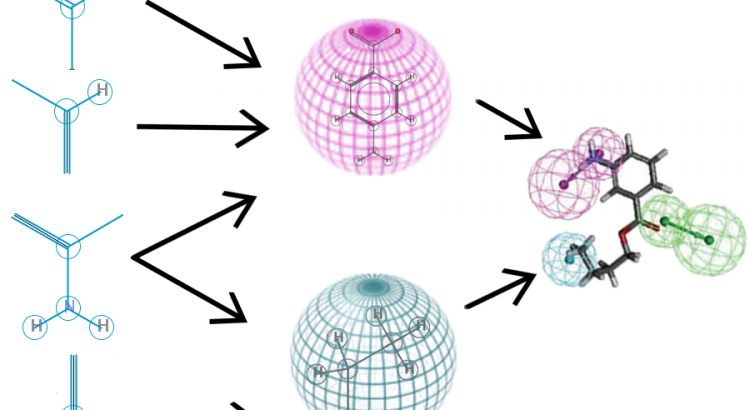 The Merck Kaggle challenge on chemical compound activity was won by Hinton’s group with deep networks. This indicates the high potential of deep learning in drug design and attracted the attention of big pharma. However, the unrealistically small scale of the Kaggle dataset does not allow to assess the value of deep learning in drug target prediction if applied to in-house data of pharmaceutical companies. Even a publicly available drug activity data base like ChEMBL is magnitudes larger than the Kaggle dataset. ChEMBL has 13 M compound descriptors, 1.3 M compounds, and 5 k drug targets, compared to the Kaggle dataset with 11 k descriptors, 164 k compounds, and 15 drug targets. On the ChEMBL database, we compared the performance of deep learning to seven target prediction methods, including two commercial predictors, three predictors deployed by pharma, and machine learning methods that we could scale to this dataset. Deep learning outperformed all other methods with respect to the area under ROC curve and was significantly better than all commercial products. Deep learning surpassed the threshold to make virtual compound screening possible and has the potential to become a standard tool in industrial drug design.